Gin derives its predominant flavour from spices and botanicals, mainly coriander and juniper berries. 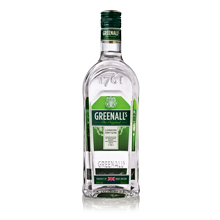 Did you know: The name "gin" is derived from "genièvre (French) and jenever (Dutch), both of which mean "juniper". Also interesting: For the gin production there are approximately 120 different ingredients used, for example ginger, nutmeg, orange-peel, pepper. 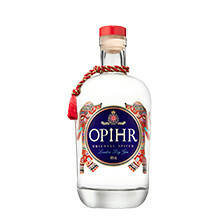 London Dry Gin is what most drinkers today think of when they think of gin. From a London Dry Gin, you can generally expect a clean spirit that showcases the flavours of whichever botanicals were used in the distillation process. The use of "London" these days unfortunately doesn't imply geographical origin, though - London Dry gins can be made anywhere in the world, as long as they fit those requirements.